Around 11 years back (before March 2006), mid-size to large non-IT companies were storing everything in-house i.e., on their own servers. Ex.s: Banks like SBI, ICICI, AXIS, Citigroup, Bank of America (1000s of Banks worldwide), Telecoms like Airtel, BSNL, AT &T, Verizon, T-Mobile (100s of Telecoms world, Retailers like BigBazaar(Future Group), Landmark(Tata Group), Walmart, Manufacturers like TataMotors, TV Media like NDTV – all of them acquire huge amount of data on a daily basis, Cab services like Ola Cabs. AWS is used by about 8,000 companies in India to reduce its internal IT staff and cut IT costs by over 80 percent. But over the years with internet speed becoming better, people discovered a new way to store everything, the “Cloud” way! 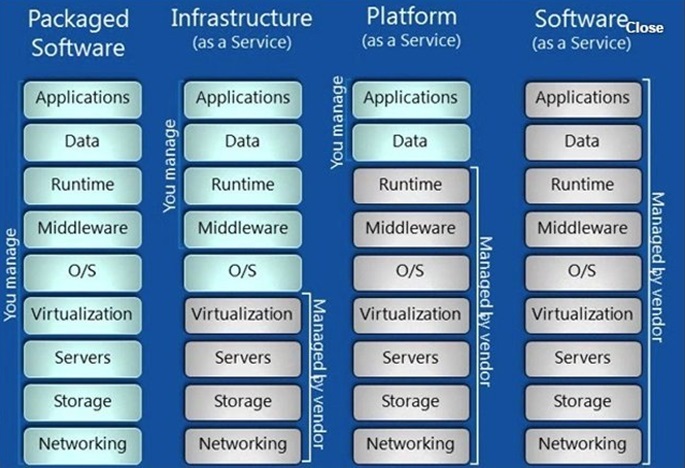 What is a Cloud? 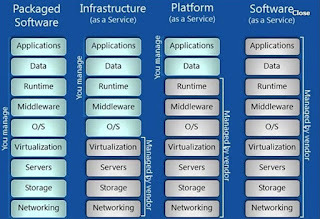 To understand what is Cloud, let’s first understand why it came into the picture! 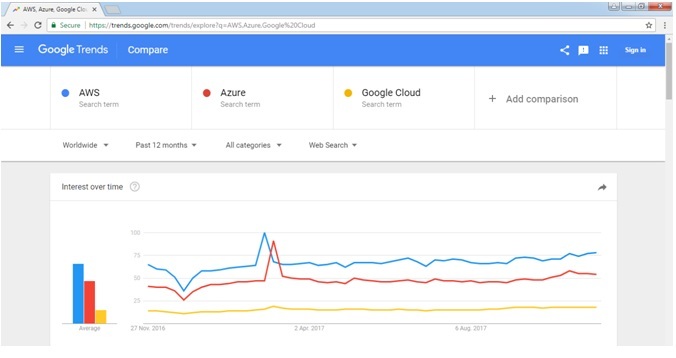 Before “Cloud”, companies were storing everything offline i.e hosting websites on their on-premise servers, and adding more servers whenever required. But, there were some problems with this kind of setup. What were these problems? You own a company/institution which runs a very successful website and let’s imagine the “cloud concept” was not introduced at this time. Therefore your website was hosted on the on-premise servers. Seems normal, right? One fine day, you added a new feature to your website which became a hit overnight. Now, your traffic increased multi-folds and the inevitable happened, your website crashed! Woah! That hurts, isn’t it? Well, you obviously couldn’t have foreseen this, and even if you did, there was no way you could have spent and bought the required servers, in such a short time. Why? Well, servers are not cheap guys, they are very VERY expensive. Let’s say you can afford these many servers, but are you sure about experiencing this much traffic every day? After you bought the servers and the next day your traffic dropped, what will you do with these servers now? They will be idle most of the time, and hence they become a bad investment on your part. 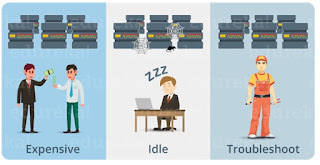 Your servers will be idle most of the time. Every machine is bound to fail one day, maintaining these many servers becomes a tedious task. To handle these problems we had to come up with a new model of infrastructure. Hence, we came up with Cloud. 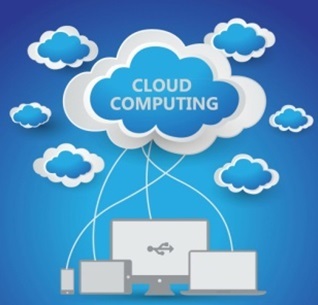 With cloud computing, all these problems were solved! How? Put your data on Cloud Servers and you are set! No more buying expensive servers. Scalability! Your server capacity will scale up or scale down according to the traffic, that too automatically. Your cloud provider will manage your servers, hence no worries about the underlying infrastructure. Note: All Infrastructure components are placed in a Data Center instead of in an office cabin of System Administrator. 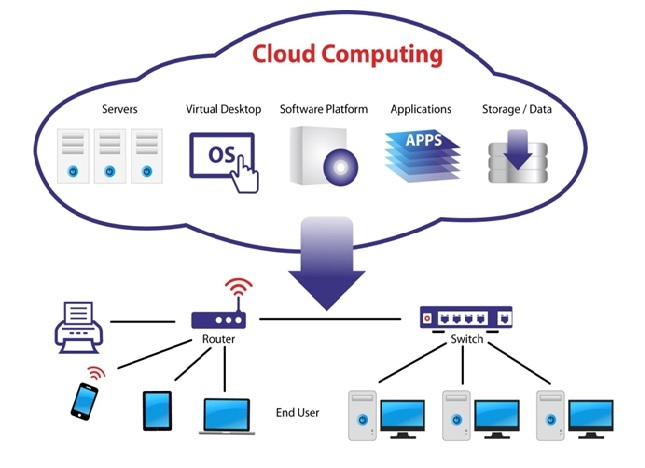 In the Cloud – They set up the Data Centers and we the customers (owners of small and big companies) just connect through public internet and use their services. Note: Due to the boom in Cloud we have boomed in Startups – because they just need to pay for usage like just paying the rent on monthly basis and forget about the rest – like security, furniture, projectors, counselors etc. They are very important because what if you fail in your business, what will happen to the infrastructure you have set up. You have to sell them for a huge loss. A service provider offers access to a cloud-based environment in which software developers can build, deploy and deliver applications. The provider supplies underlying infrastructure. End Users: Software/Application Developers who builds software on their own machines but wants to test/run them by deploying on a Server or a Cluster. Note: Here users do not have to manage, install or upgrade software; SaaS providers manage this. In this case usually web browsers, provide the point of access to software running on servers. Note: In the 1st one, we are not using any Cloud Service, everything is available on the Premises and fully managed by us. Trade capital expense for the variable expense (Cost Efficient): Instead of having to invest heavily in data centers and servers before you know how you’re going to use them, you can only pay when you consume computing resources, and only pay for how much you consume. Benefit from massive economies of scale: By using cloud computing, you can achieve a lower variable cost than you can get on your own. 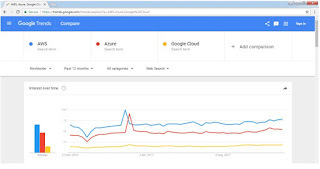 Because usage from hundreds of thousands of customers is aggregated in the cloud, providers such as Amazon Web Services can achieve higher economies of scale which translates into lower pay as you go prices. Eliminate guessing on your infrastructure capacity needs. When you make a capacity decision prior to deploying an application, you often either end up sitting on expensive idle resources or dealing with limited capacity. With cloud computing, these problems go away. You can access as much or as little as you need, and scale up and down as required with only a few minutes’ notices. In a cloud computing environment, new IT resources are only ever a click away, which means you reduce the time it takes to make those resources available to your developers from weeks to just minutes. This result in a dramatic increase in agility for the organization, since the cost and time it takes to experiment and develop, is significantly lower. Single tenancy: there’s only the data of a single organization stored in the cloud. Multi-tenancy: the data of multiple organizations in stored in a shared environment. The data stored in the public cloud is usually multi-tenant, which means the data from multiple organizations is stored in a shared environment. The data stored in private cloud is kept private by the organization. No: only the organization itself can use the private cloud services. 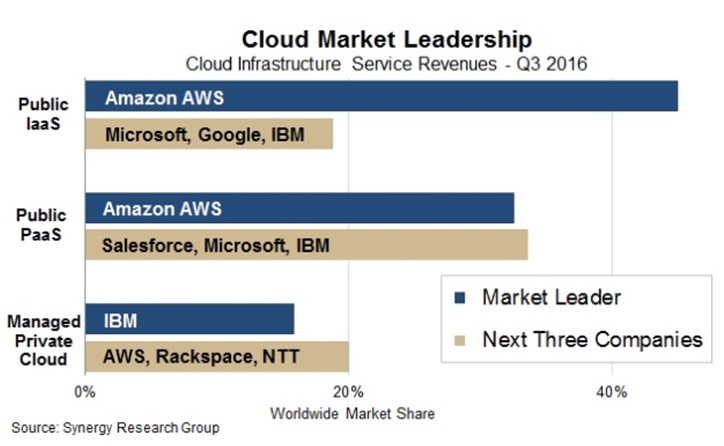 Yes: anyone can use the public cloud services. The services running on a private cloud can be accessed only by the organization’s users, while the services running on public cloud can be accessed by anyone. Anywhere on the Internet where the cloud service provider’s services are located. Inside the organization’s network for private cloud services as well as anywhere on the Internet for public cloud services. The organization must have their own administrators managing their private cloud services. The cloud service provider manages the services, where the organization merely uses them. 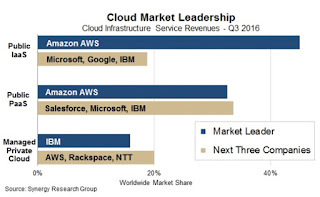 The organization itself must manage the private cloud, while the public cloud is managed by the CSP(Cloud Service Provider). Must be provided by the organization itself, which has to buy physical servers to build the private cloud on. The CSP provides all the hardware and ensures it’s working at all times. The organization must provide hardware for the private cloud, while the hardware of CSP is used for public cloud services. Can be quite expensive, since the hardware, applications and network have to be provided and managed by the organization itself. The CSP has to provide the hardware, set-up the application and provide the network accessibility according to the SLA (Service Level Agreement) with the user. The private cloud services must be provided by the organization, including the hardware, applications and network, while the CSP manages the public cloud services. ie., If more control and security is required to go for private. If more scalability is required go for the public. 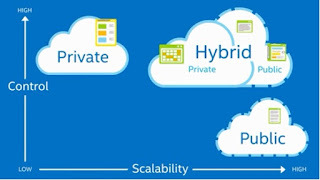 If Applications are deployed on your private cloud but can burst into the public cloud during demand spikes then go for Hybrid.